TEK Security Gate & Fence Posts are constructed of steel and our FULLY Hot Dipped Galvanized (HDG) finish. 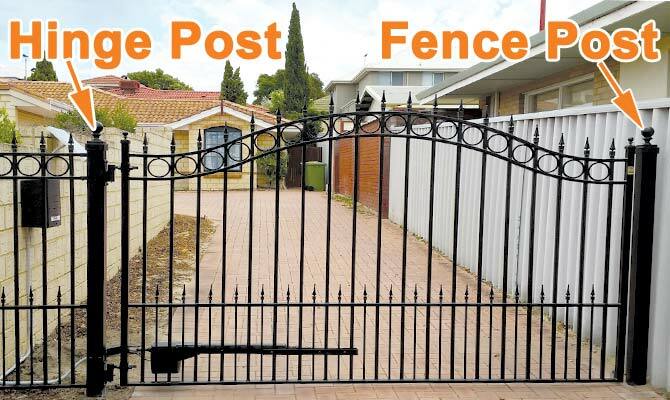 All Residential Driveway, Garden gates & Fence posts are supplied with Powder Coat Matte Black Finish. All Security Gates & Fences are supplied with Hot Dipped Galvanized (HDG) Finish. If an alternative color is required please refer Custom Gate & Fences for further information.